Hands up if one of your biggest parenting challenges is getting your kids to eat healthily? 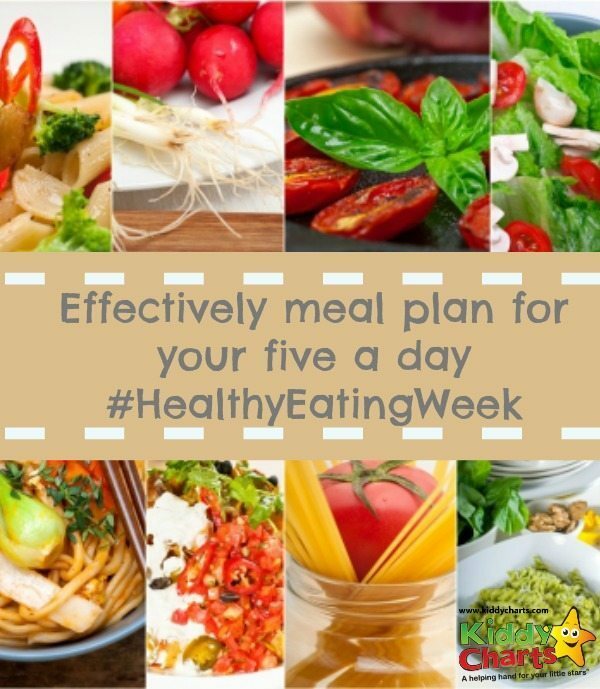 Did you know it was actually Healthy Eating Week at the moment so now is the time to take a look at those eating habits? Sometimes I look at my kids in amazement that they’re not only alive, but thriving on what they deign to eat. I can’t count the number of times I said when they were younger “this isn’t a restaurant!” in the face of turned up noses. When my lovingly prepared, nutritionally balanced meal is rejected for a piece of cold toast found on the floor (the less said about the cleanliness of my floors some days, the better) it’s a blow to the ego. What is the solution? One way I have learned to manage family meals is by meal planning. Creating a meal plan is easier than you would think and saves oodles of time. I have recently found a way to make it even healthier with the NHS 5 a Day Meal Planner. This nifty website lets you select the meals and snacks you want to make and not only will it create a shopping list, it will calculate how many portions of your 5 a day you’re actually getting. I used to be a meal planning sceptic but believe me when I tell you it’s the future. Spending half an hour once a week is so worth it when it comes to the witching hour and I don’t have to make a decision about what to cook. Another bonus is that my grocery bills have come down as I am a lot more organised about what I buy, and I never get halfway through a recipe only to find I’ve run out of a crucial ingredient. I love the weeks when I manage to cook and freeze a couple of meals. It’s like getting a takeaway because I don’t have to cook and clean up, but better because there’s no guilt associated with feeding my family junk. A top parenting tip that helped me cope with meal times was to look at how well they my kids were eating over a day, or even a week, rather than assessing each meal for its nutritional content and panicking when it’s lacking. Let’s face it, some meals won’t end up being any more than a handful of cereal, but if that’s balanced out with vegetables and protein over the course of 24 hours then it’s not a big deal. Since I wrote about tips for fussy eaters I have had loads of comments and suggestions about things that have worked for other parents including having meals together with your children so they learn from your example; shaking things up by changing the scene – maybe have a picnic or mid-week barbeque for dinner; and trying different types of food, such as tinned fruit and frozen veg (yep, my son loves frozen sweetcorn) as a snack. Finally, don’t beat yourself up if you do have a fussy eater. Be consistent, keep offering them a variety of good food, and use a healthy eating chart to track their progress. There will come a day when you’ll look back and shake your head in wonder at how much energy you spent worrying about what went in your child’s mouth. Trust me. This is a very good article you have, thanks for sharing these valuable article. please keep it up. Don’t ask me why, I try to set a good example for them.